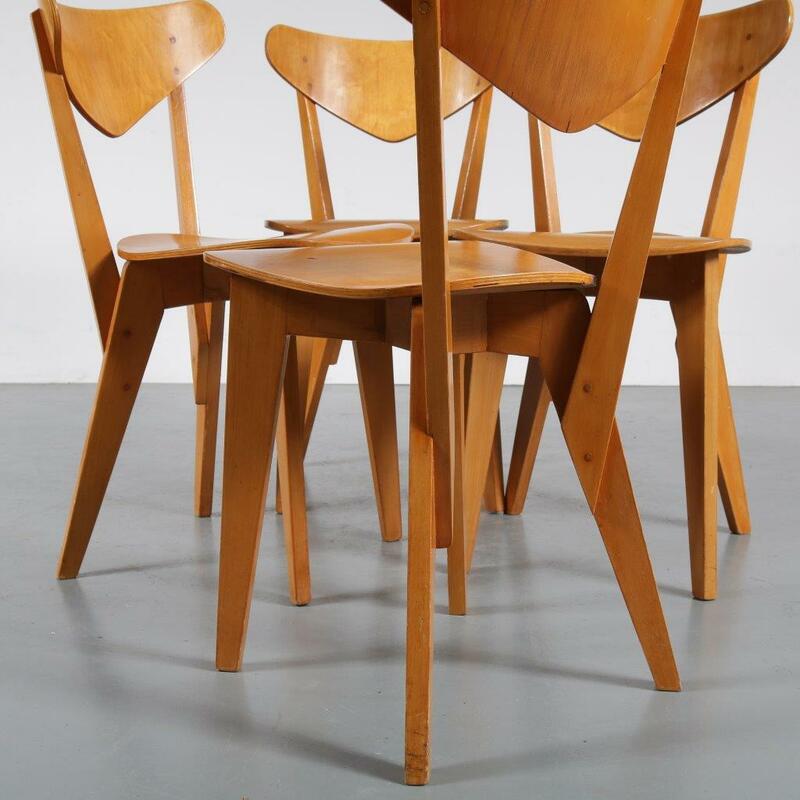 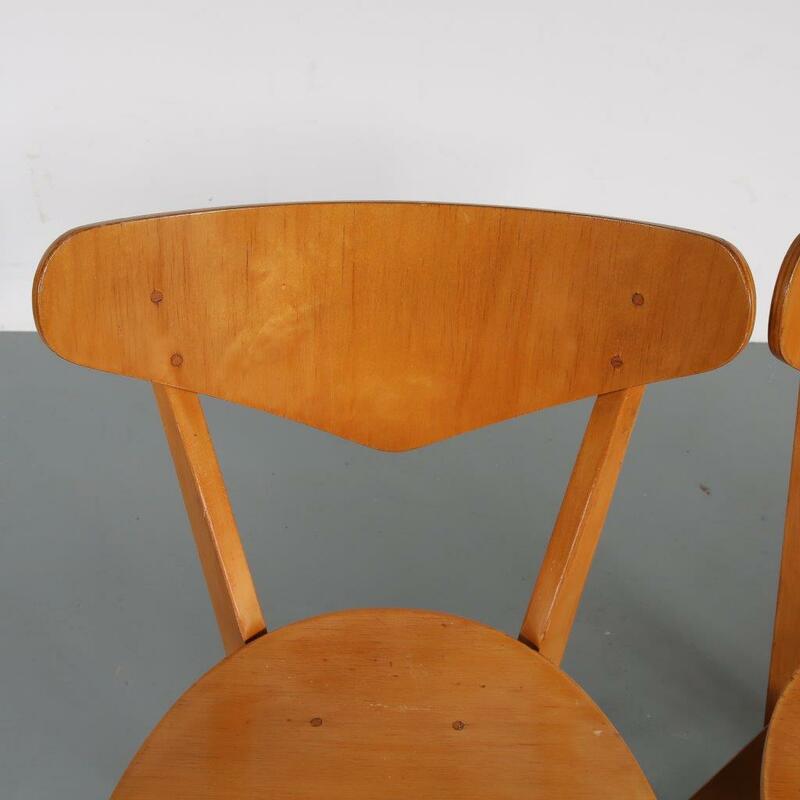 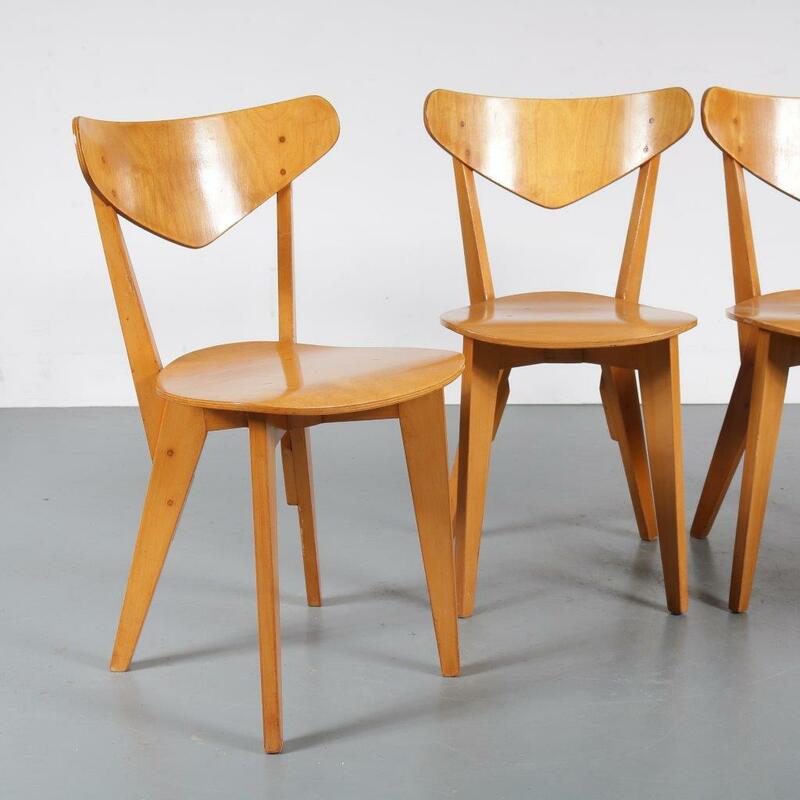 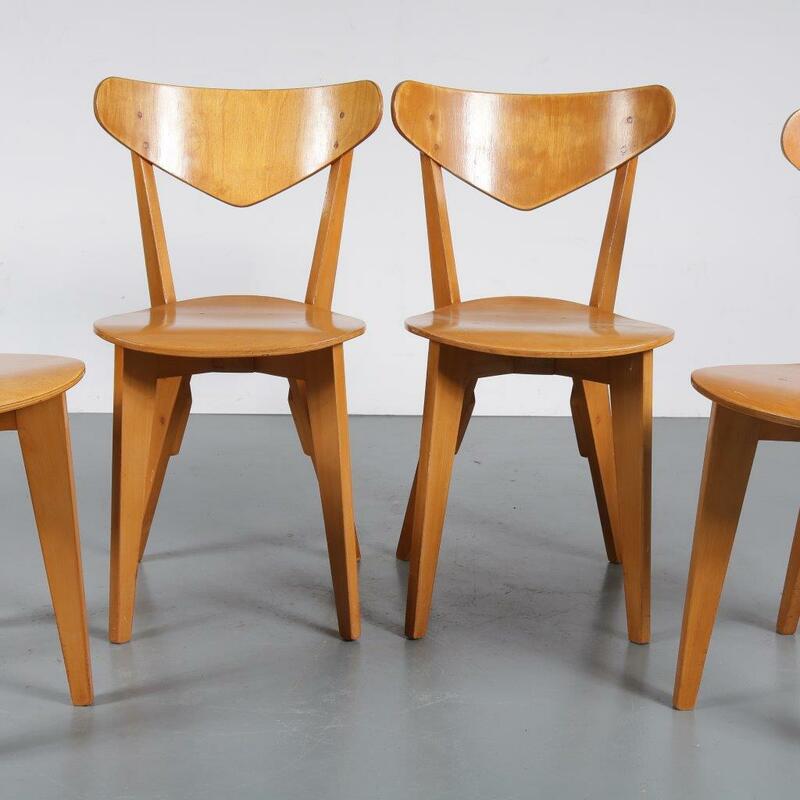 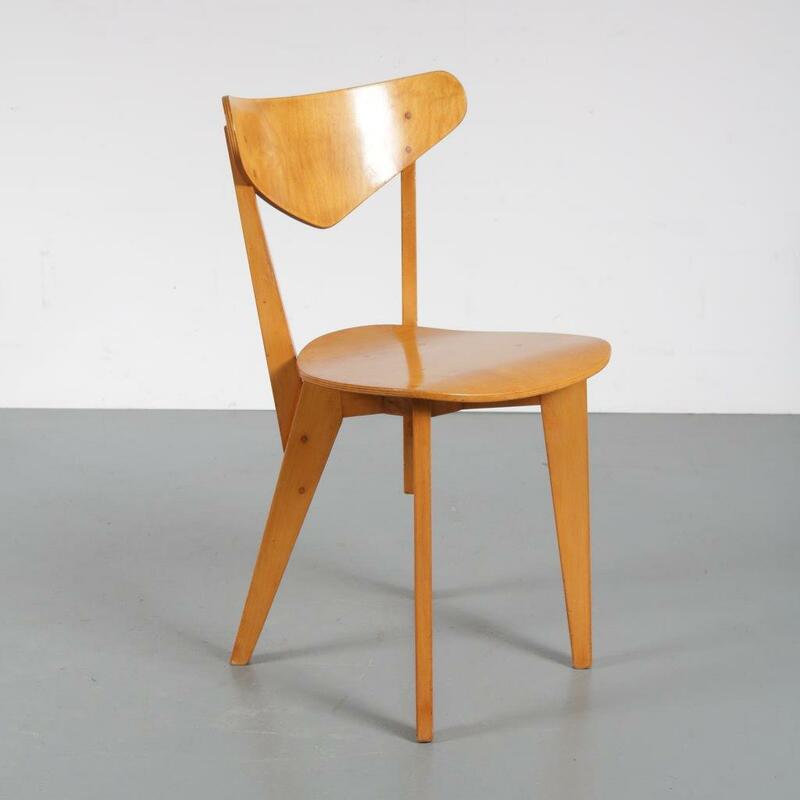 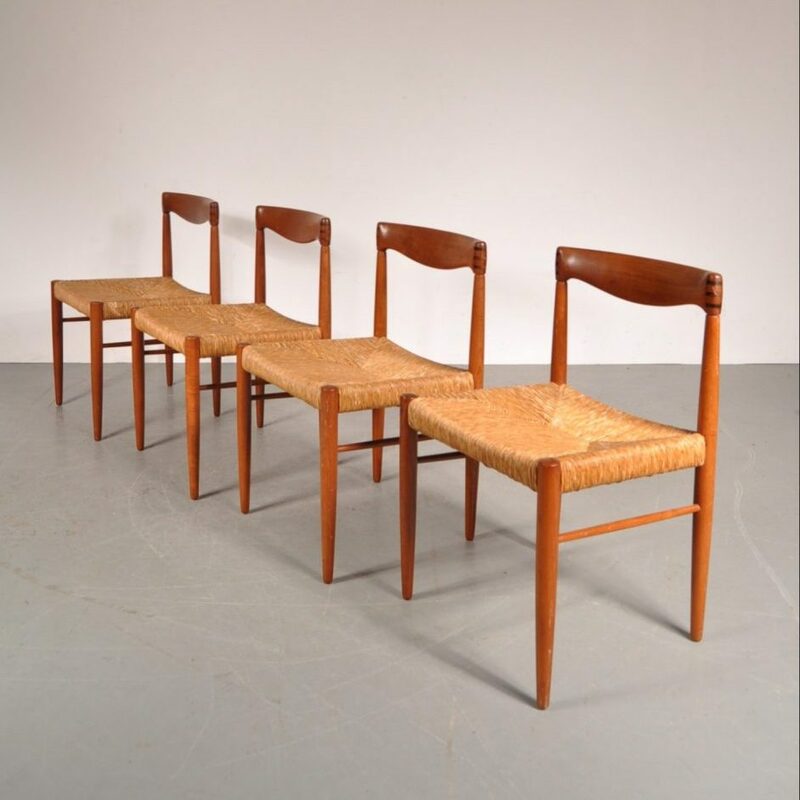 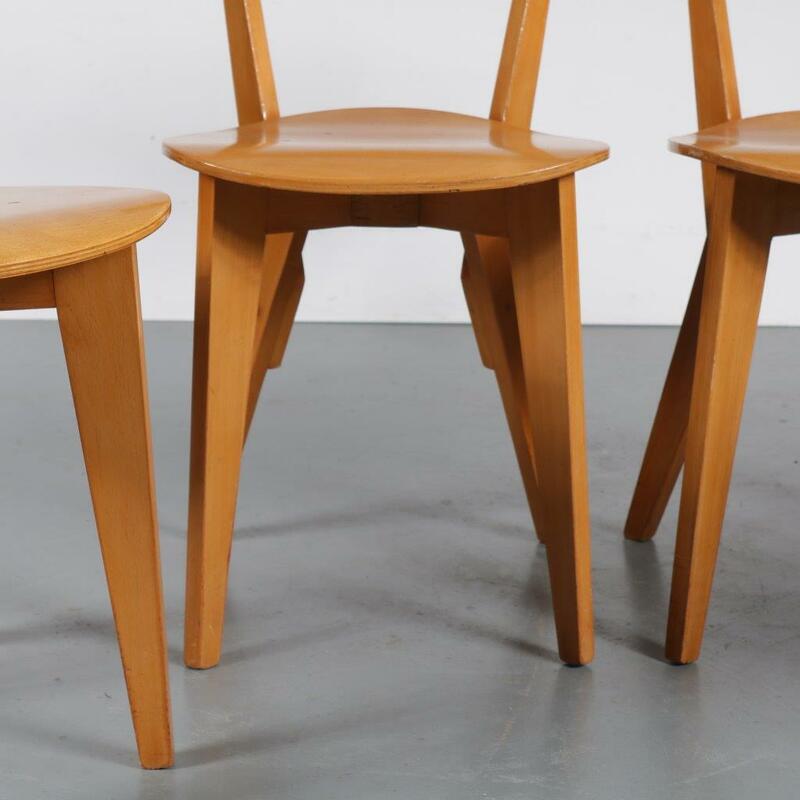 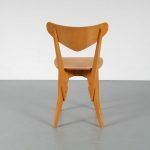 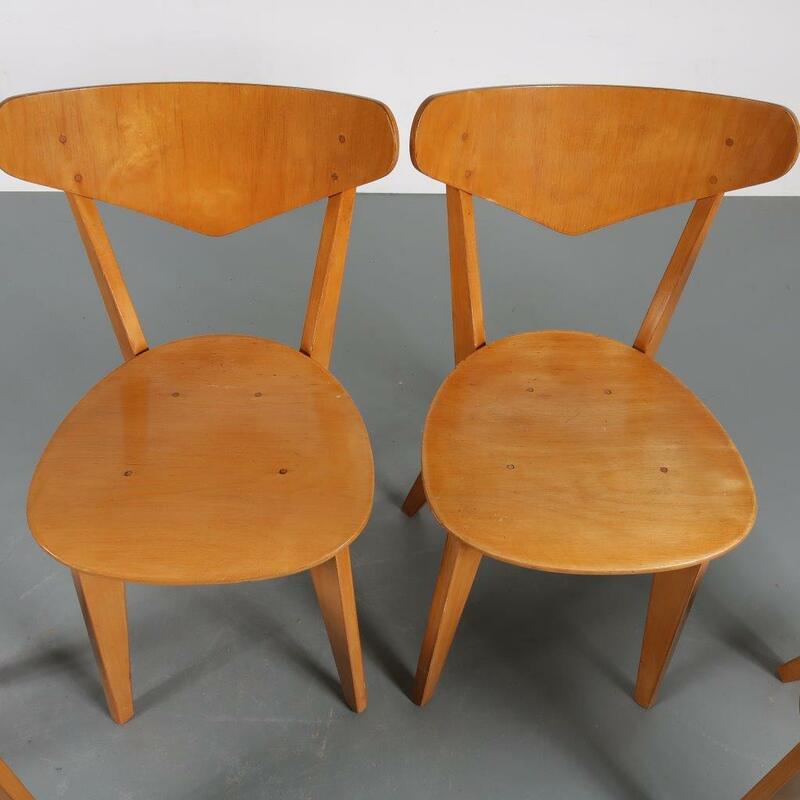 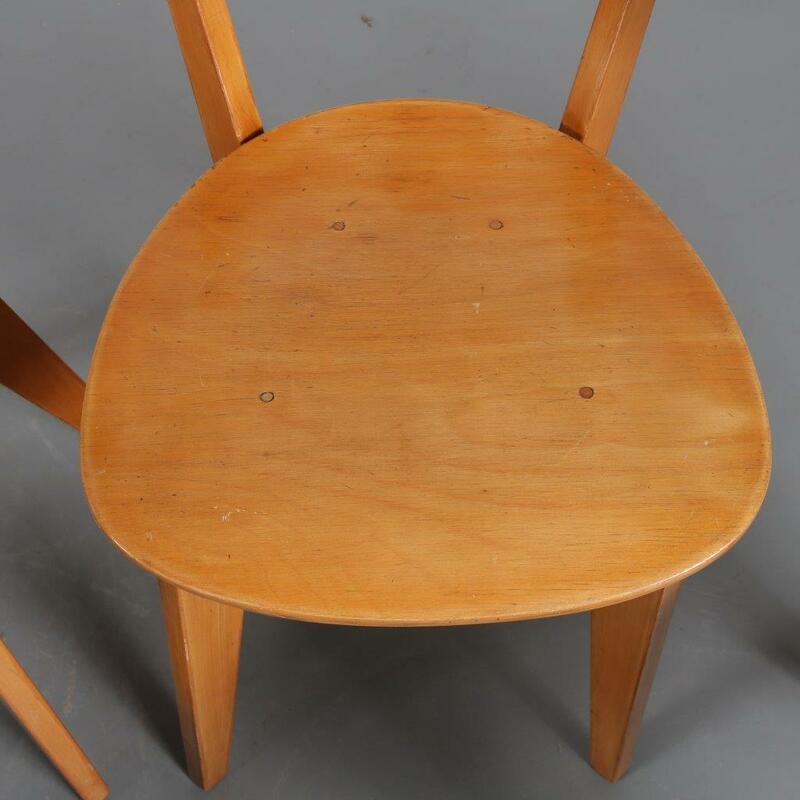 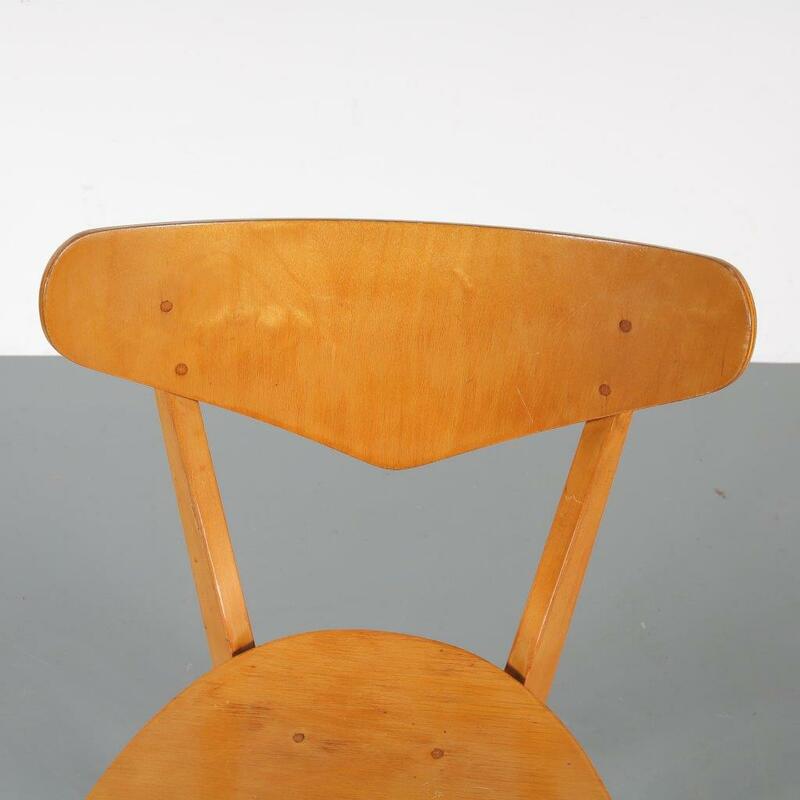 This lovely set of chairs was produced in the 1940s. 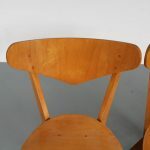 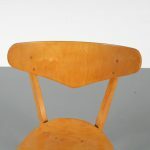 They were produced by “Groep&” (1946-1950). 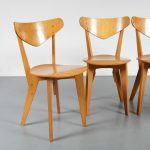 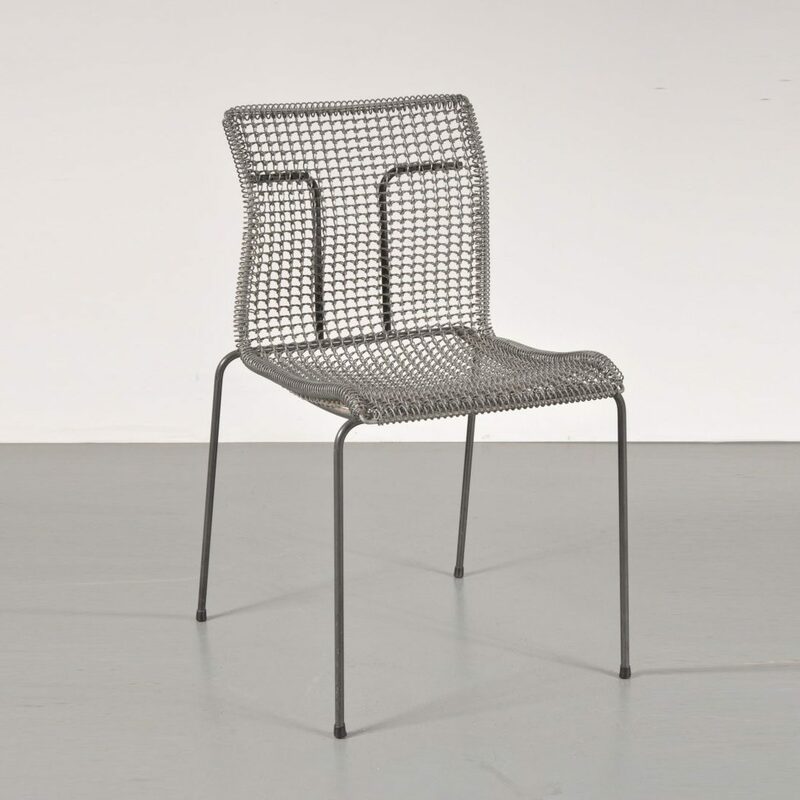 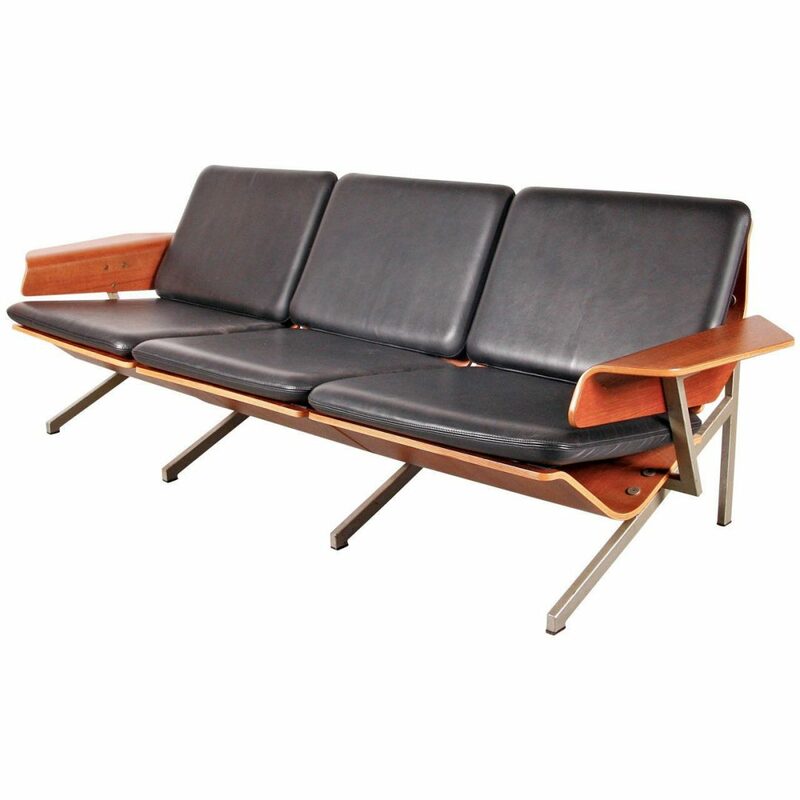 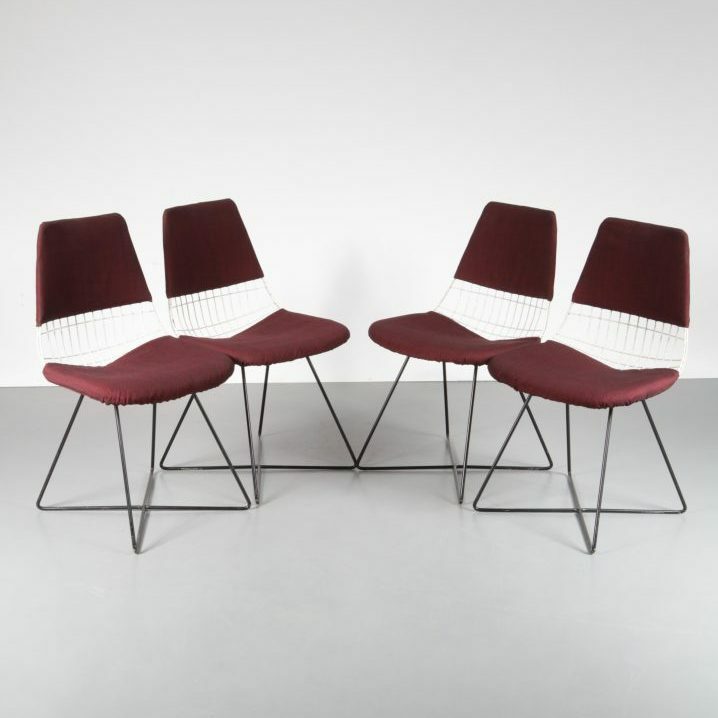 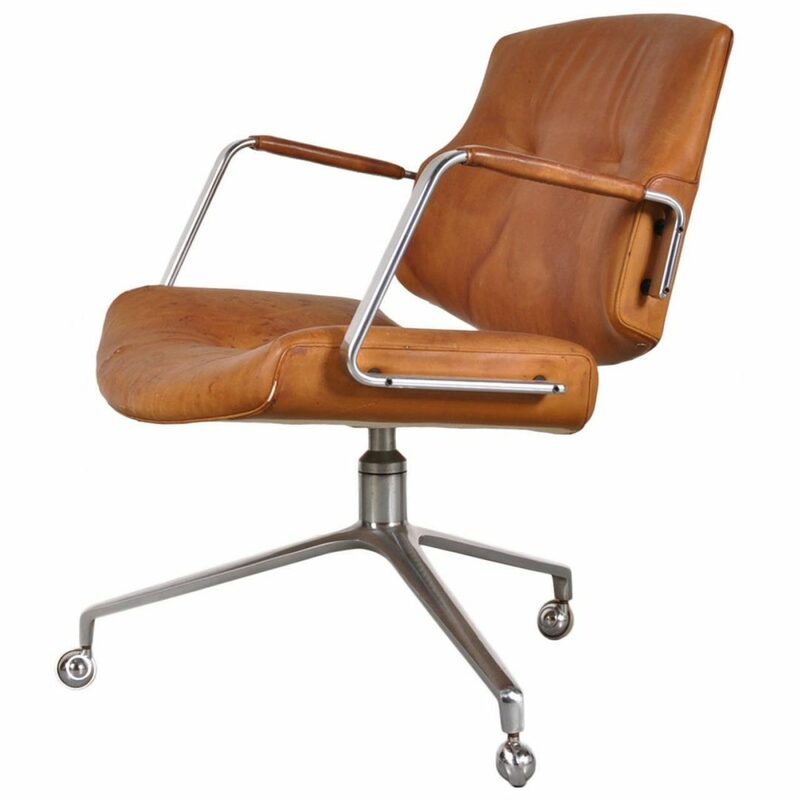 This group was started by Dutch designers Hein Stolle, Wim den Boon and Pierre Kleykamp. 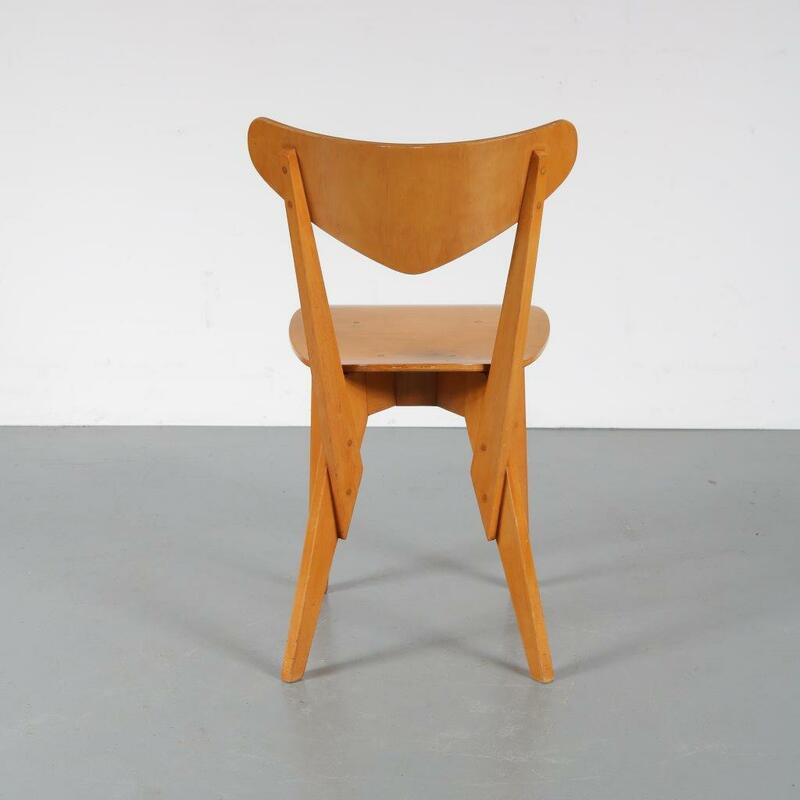 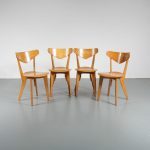 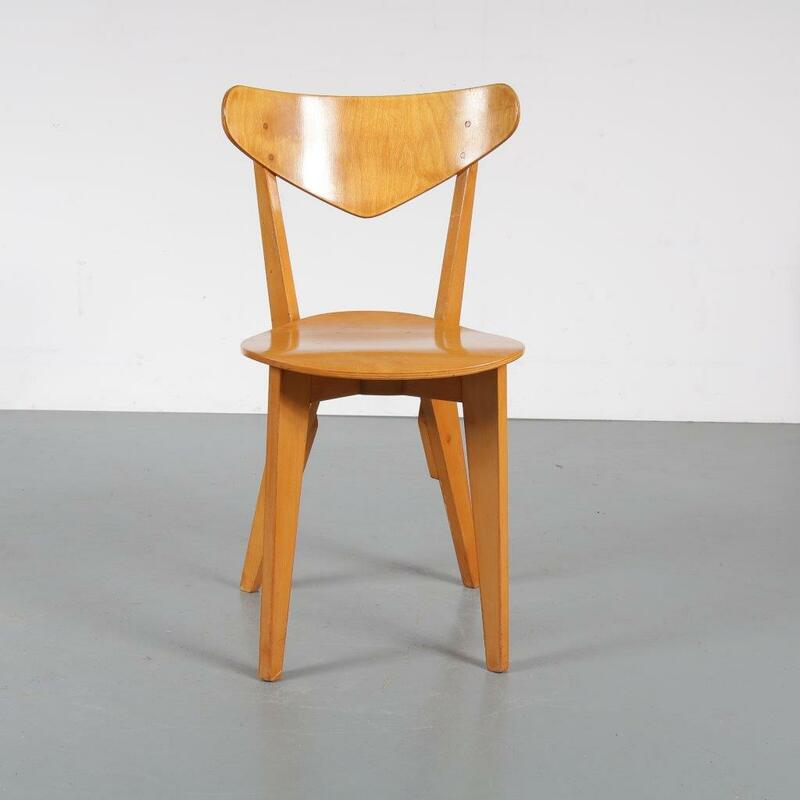 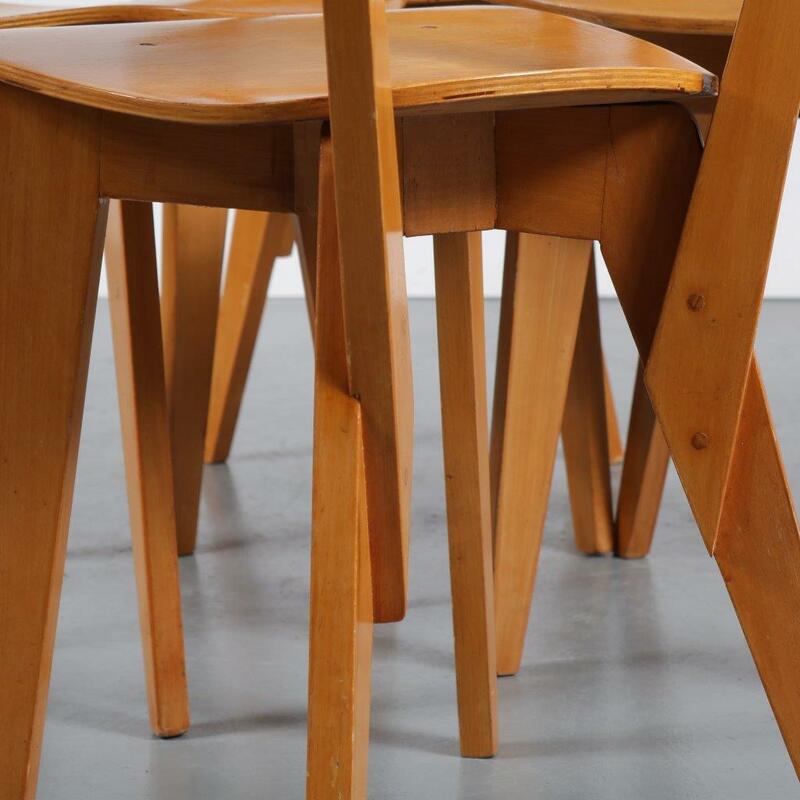 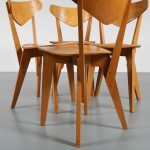 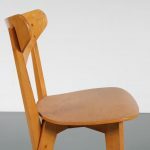 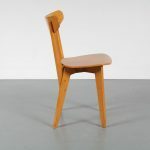 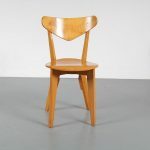 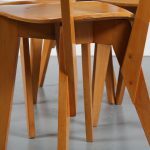 A group of iconic designers that together produced furniture for Goed Wonen. They did this for quite a short time, making their pieces hard to find vintage collectables! 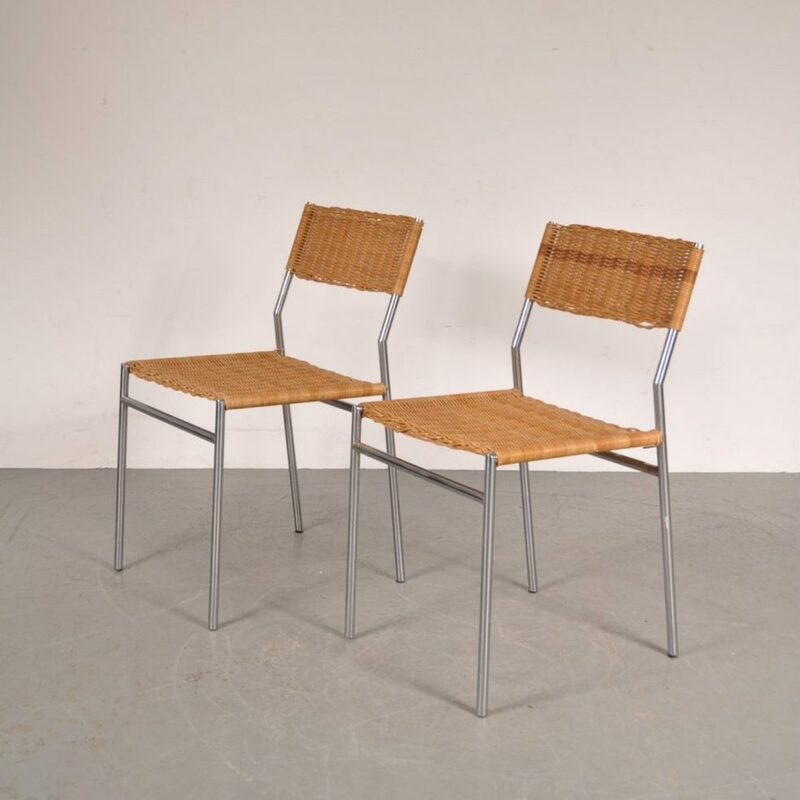 These chairs have a typical Dutch style with their own unique touch. 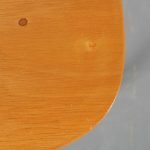 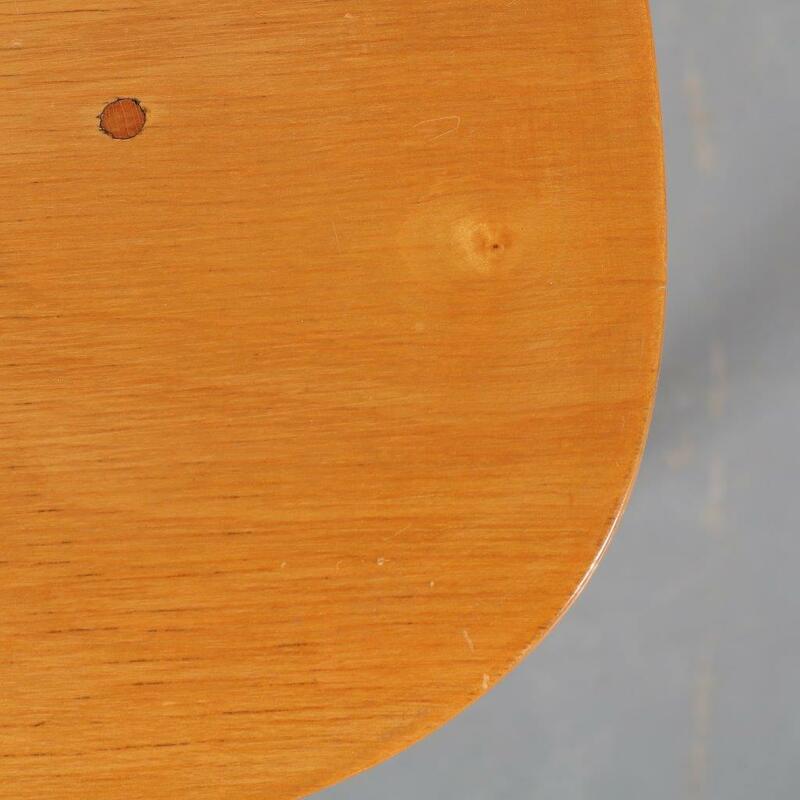 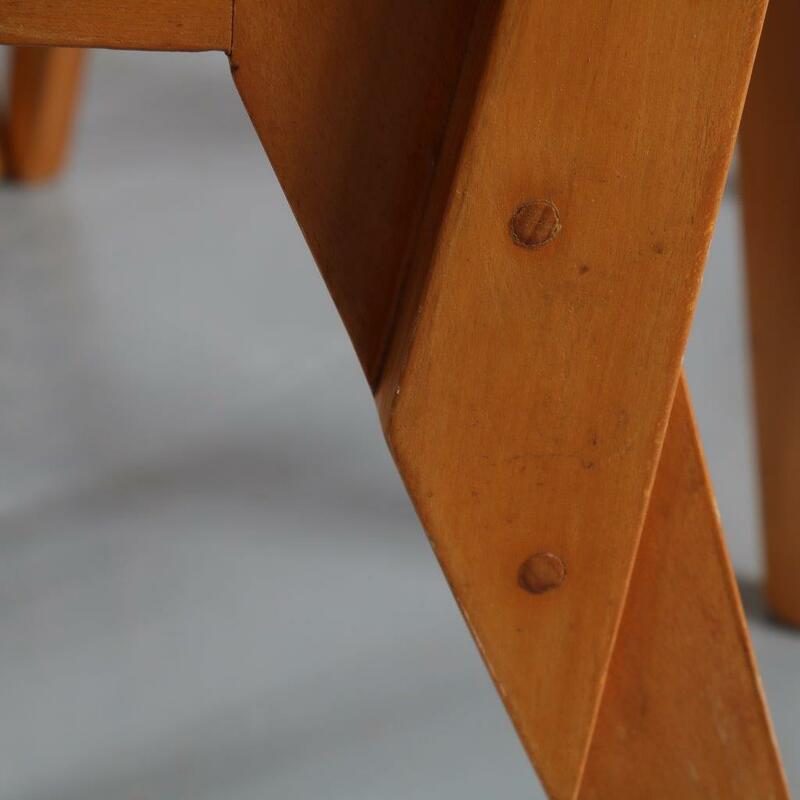 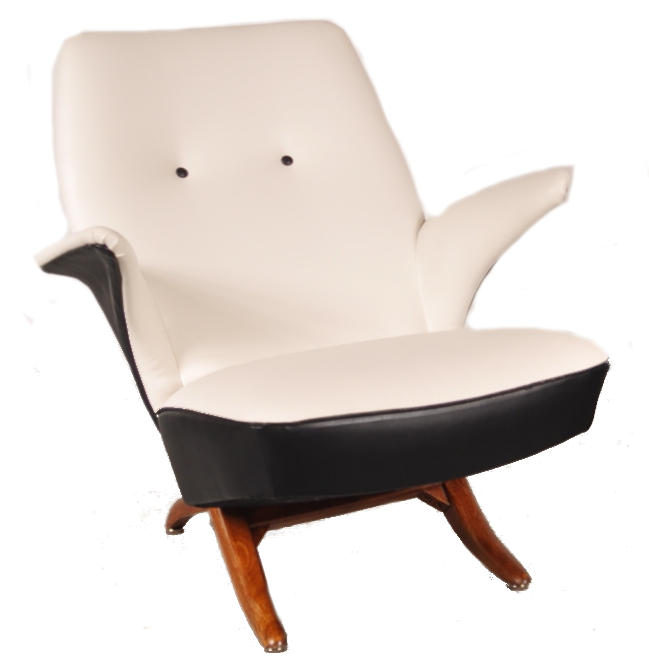 The backrests have a downwards triangle shape, which is a nice finishing touch. 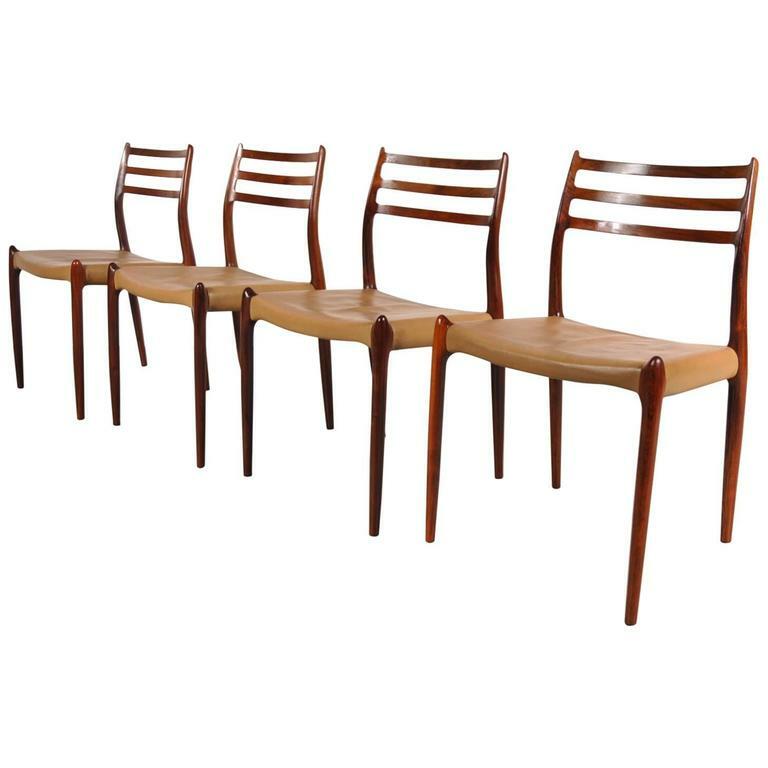 They are crafted with a great eye for detail and will definitely add a unique modern touch to the dining room. 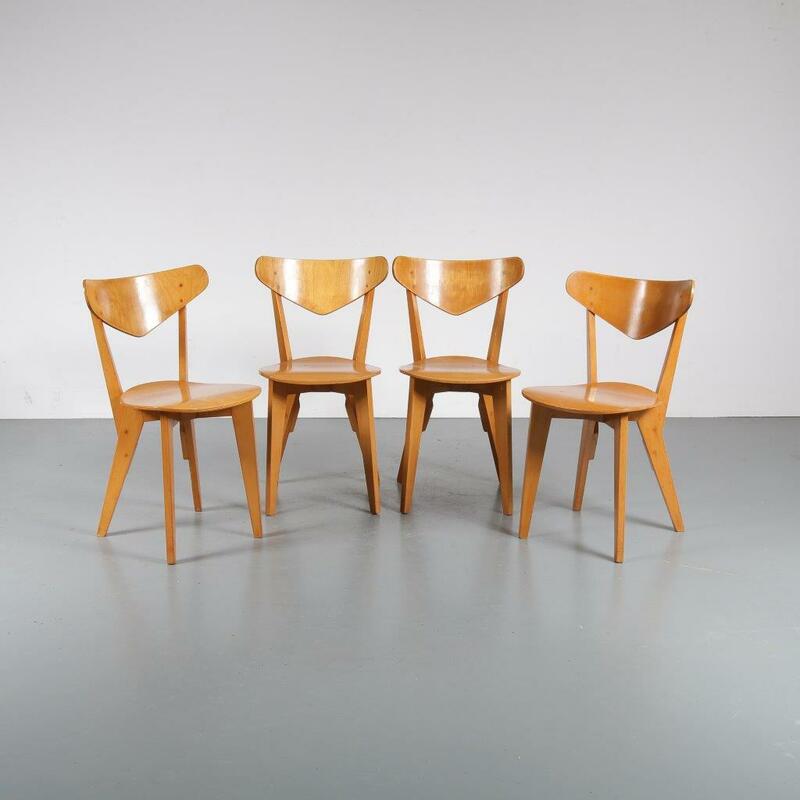 The set remains in good, vintage condition with minor wear consistent with age and use preserving a beautiful patina.